Your local college or university is a good place to start if you are looking for a course. You can visit their website, contact them by phone / email or drop in to pick up a prospectus. You should also be able to pick up a prospectus in your local library. Queen’s University and Stranmillis also offer a range of open learning part time courses, specifically aimed at adults. Courses aren’t just offered by colleges and universities. Why not drop in to your local library, community centre, women’s group or arts centre to find out what is on offer? Private training providers offer a huge range of courses but costs can vary widely so it would be wise to shop around. You could try searching on the internet or yellow pages. You might prefer to study by distance learning or home study. The Open University is a good place to start. You might find their short Openings courses useful if you haven’t studied for some time. The National Extension College (NEC) is a well established distance learning provider. They offer a wide range of courses but if you need to sit an exam, remember to check if there is an exam centre near you. There is a wide range of distance learning providers, offering a huge variety of courses. The Open and Distance Learning Quality Council is a good place to start your search. Don’t forget to ask your line manager or Union Learning Representative about opportunities for learning through your workplace. 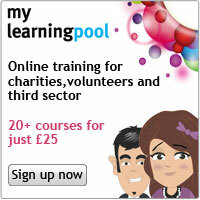 Learning Pool offers public sector employers a range of e-learning options for their staff – find out more about their range of courses.